Comedians are true blessings in our otherwise dull lives. They make us forget all our worries and do not fail to bring a smile on our faces. They are the ones who leave no stone unturned to make us laugh. Right from becoming a tree to an animal – they do it all to makes go giggle. However, there are some beautiful and supportive women behind their success. Here we bring to you some gorgeous wives of some super talented comedians. 1. 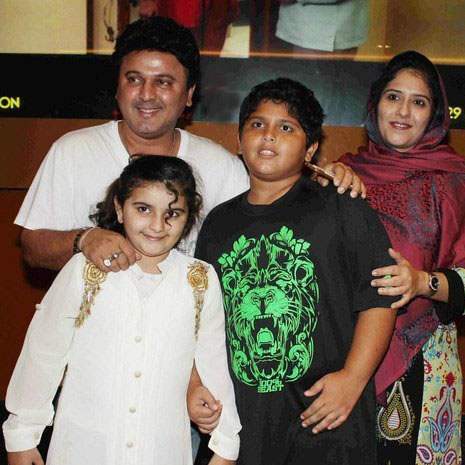 Ali Asgar: Ali started as a television actor and appeared in Ekta Kapoor’s famous daily soap Kahaani Ghar Ghar Ki as well. But it has been more than a decade that he donned the hat of a comedian and is now famous for his stints as ‘Daadi’ in The Kapil Sharma Show. Talking about his personal life, he is married to Siddika Asgar since 2005 and they have two children, Ada and Nuyaan Asgar. 2. Krushna Abhishek: Krushna is one of the most famous comedians we have in India. His charming personality and groovy dance steps also impress people a lot. His wife, however, needs no introduction as she herself is a popular actress and model. 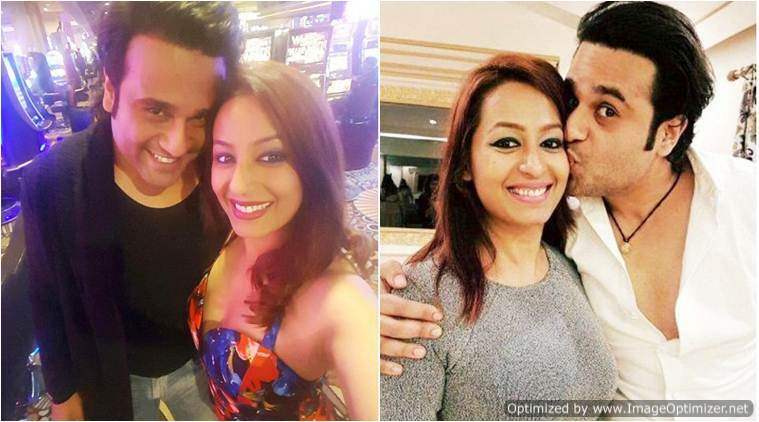 Krushna is married to the ever gorgeous Kashmera Shah. The two got married 5 years back in 2013. 3. 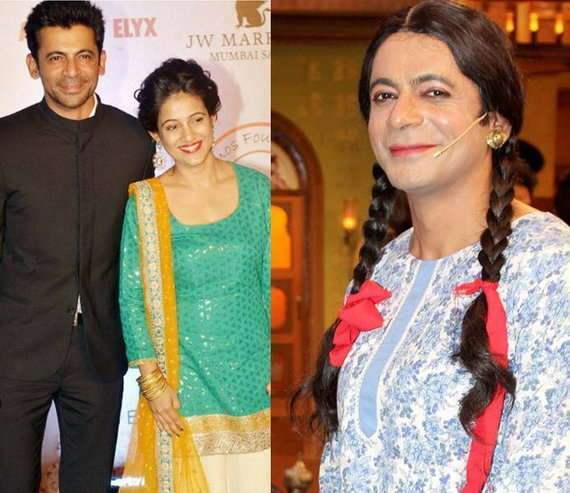 Sunil Grover: The Kapil Sharma Show has given characters of a lifetime to some comedians. And, Sunil Grover aka Gutthi is also one of them. The talented actor and comedian, Sunil is married to Aarti, who is a successful interior designer. The lovely couple is blessed with two sons. 4. Chandan Prabhakar: Yet another comedian who is most famous for stint in The Kapil Sharma Show, Chandan used to play the role of a tea seller. He is probably one of the finest comedians of the country. However, very few people know that he is also a famous director and scriptwriter in Punjabi Film industry. Talking about his personal life, he got married to Nandini in 2015 in a traditional Punjabi style wedding. The couple welcomed a little angel last year in March. 5. 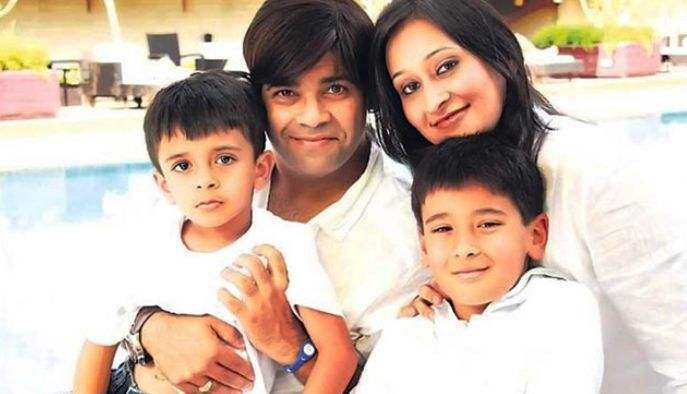 Kiku Sharda: Kiku aka Palak makes us laugh hard whenever he appears on screens. He is married to Priyanka Sharda and participated with her in celeb dance reality show Nach Baliye season 6.